More of SarahBelle’s parody, with a bit more art and a bit less lyric. HellSING! Theatre Continues: We open on a re-enactment of a certain infamous piece of manga art. For some reason, after the opening shot, everyone looks at Yumie and Heinkel. 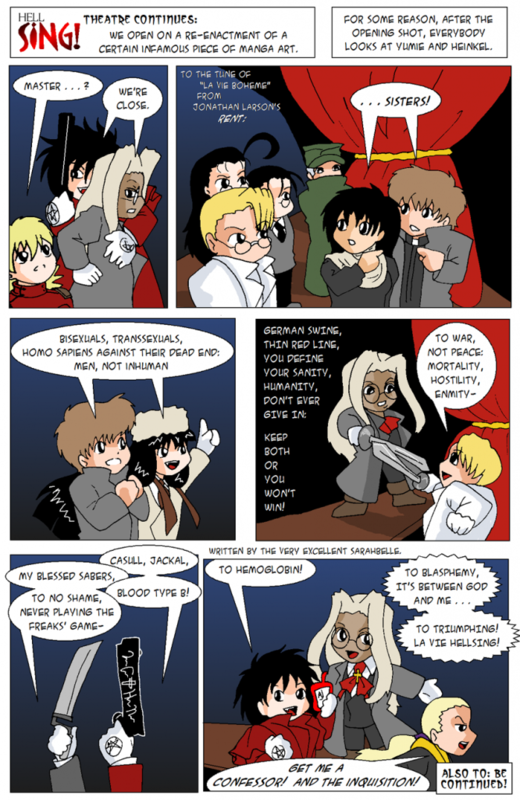 Alucard and Integra(deadpan): We’re close. Keep both or you won’t win! Maxwell: GET ME A CONFESSOR! AND THE INQUISITION!